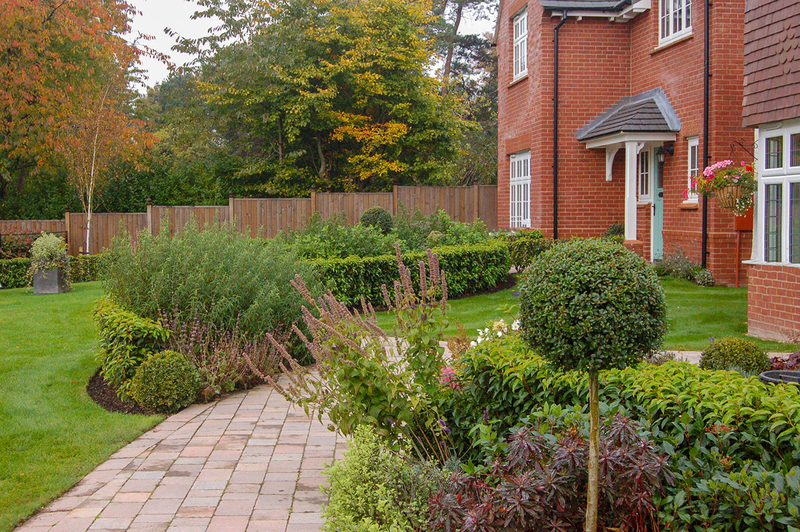 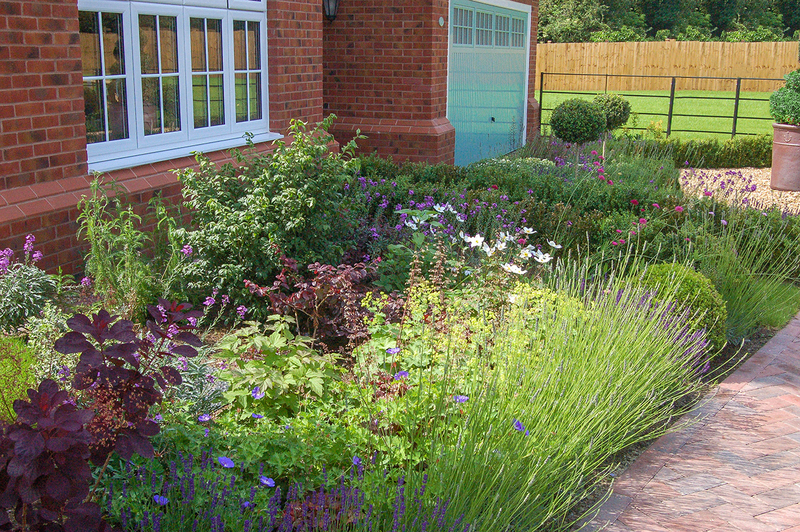 In October 2018, Landstruction completed this stunning garden/outdoor space in Hartford – Cheshire. 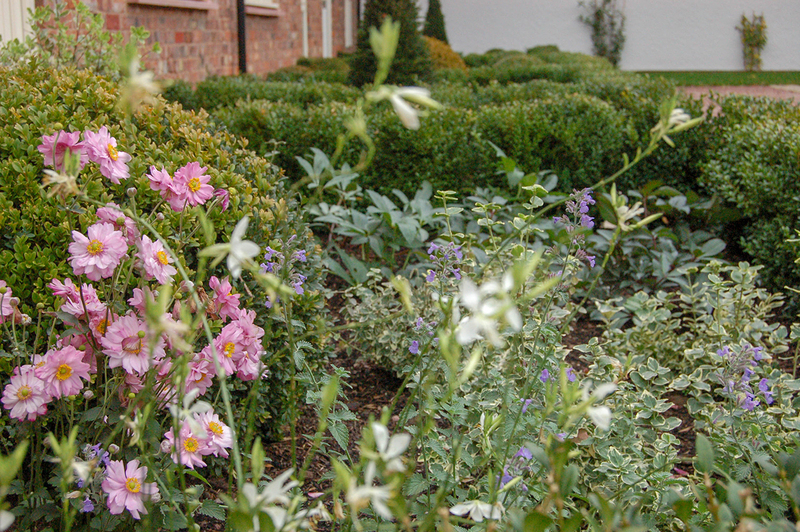 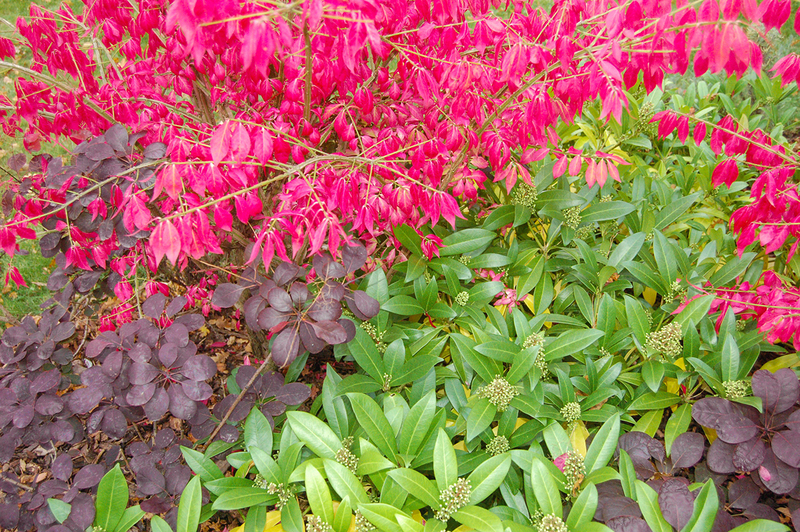 The gardens features an extremely well thought out and vibrant planting scheme; Euonymus alatus, Cotinus ‘Royal purple’, Skimmia japonica, Anenome, Sedum ‘Autumn glory’, Salvia, have been chosen to create colour and interest throughout the year. 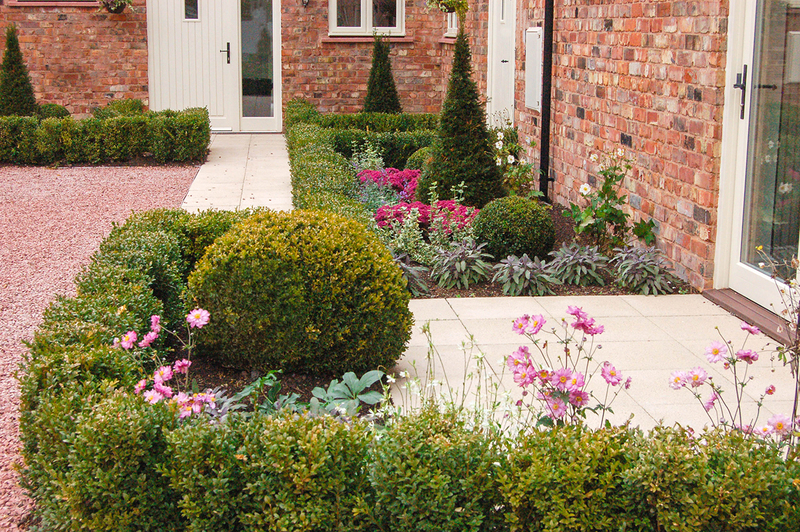 Buxus balls, Yew Pyramids and Ligustrum Half Standards topiary have been added to not only create a beautiful back drop to the planting, but also to create a dynamic structure to the outline the different gardening zones.